Mice, like rats, are a very successful mammal species and very adept at living with humans. They are not particularly fussy eaters, can breed prolifically and are clever at concealing themselves in a variety of places in a home. Also like rats, mice can cause harm to humans in the form of disease transfer and whilst not as damaging to property as rats can be, mice can be smelly and their presence, particularly in numbers, can be an abhorrence. The House Mouse is a slightly smaller rodent with a tail length the same as that of its body. Its colour tends to be brownish – grey above and white to grey or pale yellow below. In a domestic situation, there may exist some confusion between a small brown rat and a house mouse, but a house mouse differs noticeably from the brown rat in that has markedly smaller feet and large ears and eyes. House mice are active all year round in a home and their diet predominantly consists of food scraps such as breadcrumbs. • Droppings – tend to be small (3 – 8mm in length) and will scattered around randomly. Rat droppings, by the way, will be larger (10 – 15mm in length). • Noise – at night, when mice are most active, small scratching noises may be heard in wall cavities, on floorboards, around kitchen areas etc. • Smell – urine from mice tends to have a strong ammonia like smell. Mice tend to urinate quite frequently and the smell may be around their main site of activity particularly in enclosed spaces. Perth Pest Control have had many years of experience both in the identification of mouse activity and the subsequent elimination of mice in homes and businesses. 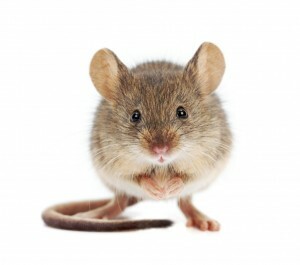 We can even advise you on ‘rodent-proofing’ your premises to minimise the chances of any future mouse activity. • Baiting – using tried and tested baits to eliminate a colony. There is not necessarily a “one size fits all’ bait that we use. Sometimes we must be aware of ambient bait “competition” so the mice will be attracted to our bait and knowing this is something that we, at Perth Pest Control, are very experienced at and will survey onsite. • Trapping – this method is not commonly used except in situations where baiting is not possible and we can advise on the suitability of this method. 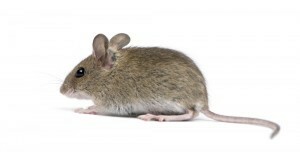 In metropolitan Perth, the House Mouse is the cause of most concern for our residential and business customers however we are also very experienced in the elimination of Field Mice in rural areas and if you would like further information about rodent control on your premises, please contact us.